Many headaches can be resolved by determining the sleep disorder that causes the symptoms. Headaches are a common complaint in primary care, and they are often connected to sleep in a variety of ways. Patients can wake with headaches, have trouble sleeping, or try to sleep in a quiet room with hopes of getting rid of a headache. Some well-known sleep disorders are associated with headaches, including sleep apnea and parasomnias. A common indication of sleep apnea is when a patient wakes with headaches. Research shows that at least 50% of those waking with headache pain probably have sleep apnea. However, the frequency is not related to the severity. 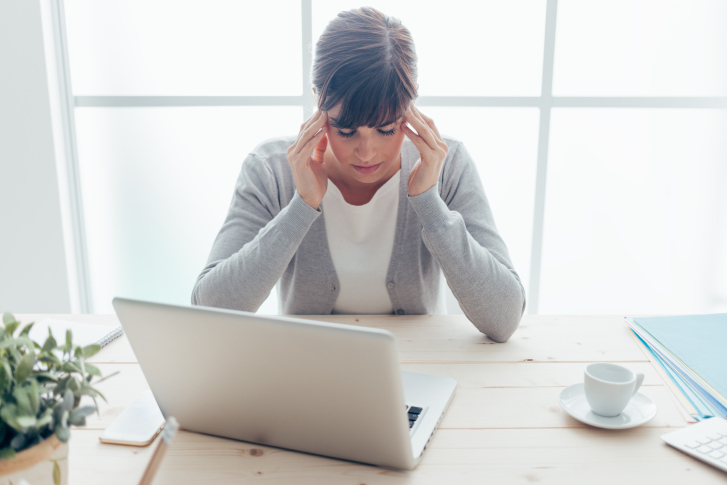 These headaches are usually diffuse, described as mild to moderate in nature, and usually resolve quickly once the patient is awake for the day. Symptoms usually improve with sleep apnea treatment. Bruxism, or teeth-grinding, is another common problem that can cause a patient to wake with headache pain. The clenching and grinding through the night occurs in about 8% of the adult population, and is caused by temporomandibular joint stress and muscle contraction. Stress can exacerbate the problem. Dentists can make dental devices for the patient, commonly called “bite guards,” that can help. In some cases, muscle relaxers may also be beneficial. Migraine headaches also commonly occur during sleep. Sleep-related migraines are described as unilateral throbbing pain that can include nausea, vomiting, scotomata, and photophobia. Attacks can last up to several days. Children with migraines often have other sleep disorders including night terrors, enuresis, and somnambulism. There is some belief that these migraine attacks are related to serotonin (5-HT) metabolism. Sumatriptan, an agonist of 5-HT1 receptor, usually aborts the migraine. Sleep hygiene is a preventative measure, as poor sleep hygiene has shown to increase sleep-related migraine headaches. Cluster headaches are associated with REM sleep and are often associated with sleeping late in the morning. Sleeping in can increase REM sleep, when these headaches often occur. These headaches can often be improved by setting an alarm and rising early. Exploding Head Syndrome is an interesting headache phenomenon. And yes, this is the correct terminology. This headache is characterized by abrupt flashing lights and noises perceived inside the head during the night. The attacks often terrify the patient, but last only a few seconds and are not associated with pain. This headache is rare, but if it occurs, it generally occurs in an older patient. Many headaches can be resolved by determining the sleep disorder that causes the symptoms. Sleep hygiene, which includes keeping a regular sleep schedule and not sleeping in, are important for managing headaches. A polysomnogram can be also be an important tool to assess underlying sleep pathology. Other Neurological Disorders. In: Kryger MH, Roth T, Dement WC. Principles and Practice of Sleep Medicine. 4th ed. Elsevier Health Sciences. 2005. Close more info about Sleep Disorders: How to Manage Headaches in Patients?